Amman, Apr. 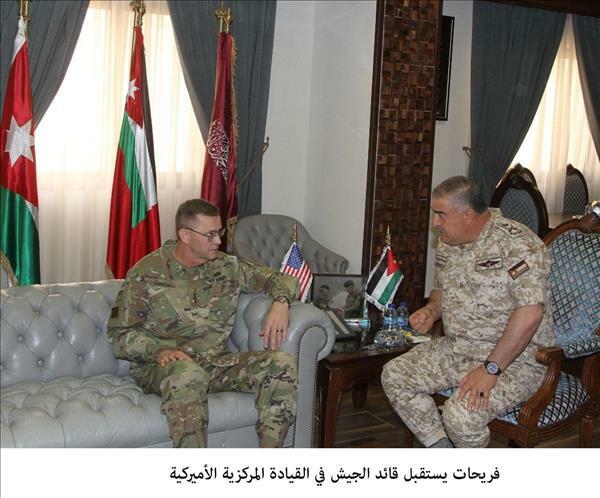 15 (Petra) -- Chairman of the Joint Chiefs of Staff Lt. Gen. Mahmoud Freihat on Monday received Acting Deputy Commander of the US Central Command Maj. Gen. Terry Ferrell and an accompanying delegation. During the meeting, Freihat and Ferrell discussed the latest regional and international developments, as well as prospects of military cooperation and coordination on issues of mutual concern to both countries' armed forces.